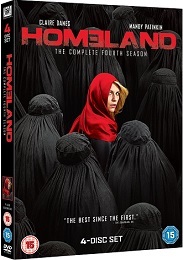 Crack CIA agent CARRIE MATHISON plays by her own rules when it comes to protecting the U.S. from terrorist attacks. Her uncanny intuition, dogged determination, and gift for persuasion helped her identify Nicholas Brody as a terrorist and convert him to an ally. She also headed the operation to capture and kill al-Qaeda mastermind Abu Nazir, and turned the man responsible for the CIA bombing, Majid Javadi, into an invaluable U.S. asset. Along the way, she fell in love with Brody and became pregnant with his child, which made his arrest and execution that much more traumatic for her. Now with a baby to raise and a fast-tracked career as an overseas station chief, Carrie is forced to make difficult choices about the direction she wants her life to take. Meanwhile, SAUL BERENSON, Carrie's long-time, no-nonsense mentor, has been forced into retirement. Will he be able to stay in the intelligence game and keep tabs on his protégé while working for a private security firm in New York?